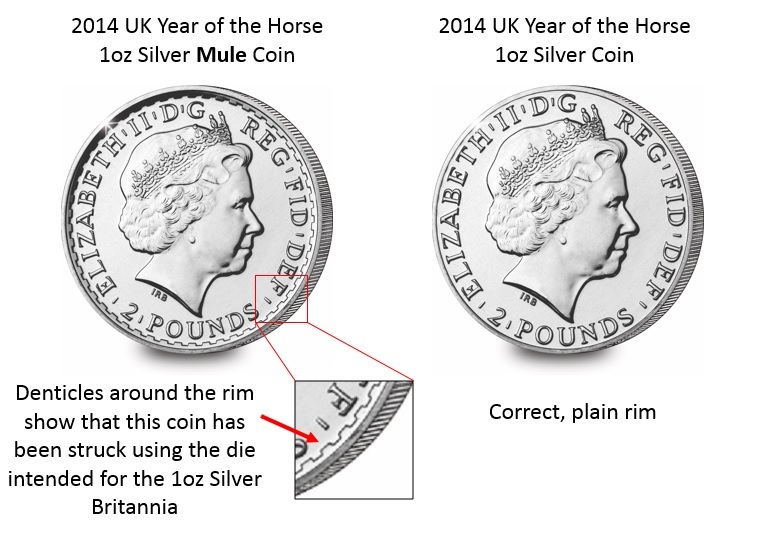 If you own the 2014 Year of the Horse Lunar Silver Coin or the 2014 Britannia coin, I suggest you go and dig them out before you read any more. That’s because it’s just possible that you are sitting on something rather unusual – a Royal Mint “mule”. A “mule” is a coin where the one of the sides has been struck with the wrong die. And that’s what happened with some of the Royal Mint’s 2014 Year of the Horse and Britannia coins. It seems attention was first drawn to the matter when a US dealer noticed that some of their Britannia coins had a different obverse (heads) side to the rest of the stock, lacking the denticle design around the edge, normally seen with Britannia coins. The Royal Mint has now acknowledged the error, which has resulted in approximately 17,000 Britannia coins being struck with the non-denticled Year of the Horse obverse and 38,000 Year of the Horse coins having the denticled Britannia version as their obverse. Perhaps the best recent example of a UK mule in recent years was the undated 20p coin, which was uncovered in 2008. 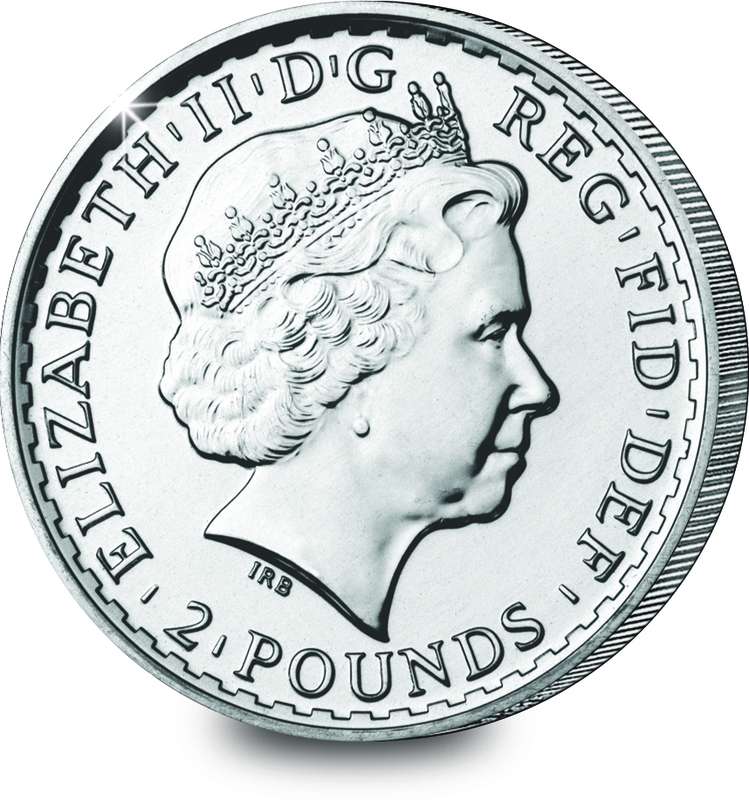 Approximately 250,000 20p coins were struck using an old obverse design, which left them undated. The news was followed by a media frenzy with many millions of people searching their change in the hope finding what was to prove to be a valuable error. Indeed an undated 20p currently changes hands on ebay for around £50 – 250 times its original value. So what of these latest Royal Mint errors? Unlike the 20p these are not general circulation coins but as bullion coin they will have been sold around the world to coin dealers and investors. That means that they will be much harder for the British general public to track down. Plus, of course, in terms of pure numbers struck, they are considerably scarcer than the undated 20p. Early listings on ebay have been as high as £500 and above, so if you are lucky enough to own either the 2014 Britannia or Year of the Horse coins, I would definitely dig them out and take a look – it might be your lucky day. Hi Les, sounds very interesting! I’m afraid however, that I don’t know the answers to your questions. Maybe NGC themselves would be able to help? Kind regards, Robin.